Hello there, fellow poultry farmer! How’s business doing? We hope your business will always grow and profitable every day and more. Recently, we have discussed about unique facts about layer hen; those facts indeed will help us achieve profit point in no time, not only that we also have discussed the easy guide to start layer poultry business; now, we are going to help you to make it grow, larger, and more profitable. Animallova proposed that you shall consider which layer chicken breeds that will give you a lot of eggs; the logic is simple, more eggs equal more profit if 10-layer hens could lay 3000 eggs each year, then it is a good option compared to having 30-layer hens which only able to lay 3000 eggs each year; catch our drift here? 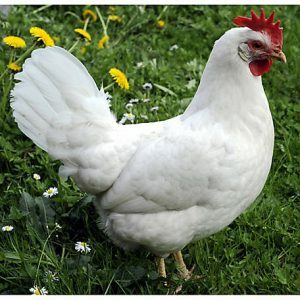 If you are new to the business indeed choosing the best layer chicken breeds would help your business to grow faster and more profitable; which is why animallova today would like to give you the 5 Most Productive Chicken Breeds That Will Lay Lot of Eggs, because it is better to have a small number of layer hens which produce massive eggs than having lots of layer hens which produce a small production of eggs; check it out! Yup, efficiency one of the reasons why you should choose your layer hens properly. We all know that layer hens are the foundation of this business, if you choose the wrong ‘material’ the foundation will collapse and leave nothing but sorrow and economic loss for you. For example, which one do you prefer, having 10 hens who lay 3000 eggs a year or having 30 hens who lay 3000 eggs a year? The answer would be obvious is it not? So, choose wisely fellow poultry farmer. Sometimes, you must able to use your budget effectively, you want the best breeds for your farm but you don’t have enough budget for it? Don’t worry this list will give you the best options that will be suited for your budget. You may not get the best breeds but at least you can use your farm budget effectively. The hybrids are the most common layer breeds. You can find them easily, especially if you live in rural area, in the nearby layer poultry farm. Sometimes you can see them with their children, wandering around looking for food. In writer’s place this breed is the most common. Eggs: 280 eggs a year which will be the standard, and the size will be medium, also the colour will be mostly brown or coloured. The eggs of hybrid breed are considered cheaper; no wonder college student love to buy this kind of egg. However, the profit from this breed might be not as bit as others but would be enough if you can sell them properly. Colour: Golden, brown colour with soft white tail feathers. Character: This breed has strong resiliency, if you are newcomer to the business or having a strict budget this breed is a great start for you. This breed is the perfect choice for you who want to have a farm who produce chicken meats and eggs. As this breed would able to produce a proper meat and eggs for you. Eggs: 250 eggs a year, a fair number considering they also produce a tasty meat. The colour would be brown, and it has medium size. Colour: Brown and black feathers; dark appearance. Character: They also have a strong resiliency and also, they are the one who is considered as independent breed; they can take care for their self, finding their own food and drink even protect themselves from predator. 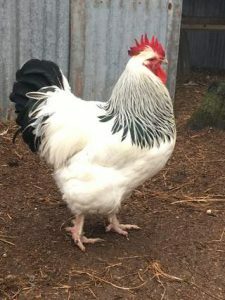 Well this breed is perfect for you who has a large backyard and even it produces a unique egg. Colour: Full white body and a large thick red comb. Character: This breed is not easy to tame; thus, it is not recommended for you who is new to the business, this breed is shy. 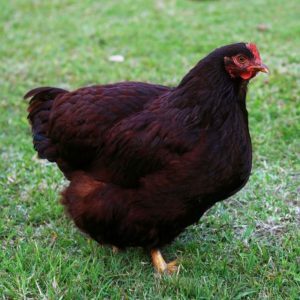 Another breed that can offers you either their meat or eggs just like Rhode Island Red. Eggs: 250 eggs a year. But this breed has a variety of egg colour, sometimes it would be brown but sometimes might be creamy white. Colour: Pure white body with black neck and tail feathers. Character: Perfect for newcomer, as they are easy to be tamed and even they will trust you easily which making the farming process easier. ‘The egg machine’ is indeed a correct epithet for them as they could lay an egg every two days. Imagine 15 times laying an egg that mean you can frequently gain profit from this breed almost every day, interesting is it not? Eggs: 200 eggs a year, a small number but at least you can gain profit almost every day, right? Also, it has medium size and light brown colour. Colour: Grey with white stripes wrapping around their body. Character: If you have a backyard farm, this breed is recommended for you. Also, they are easy to be tamed, so it won’t be a problem for a new comer. 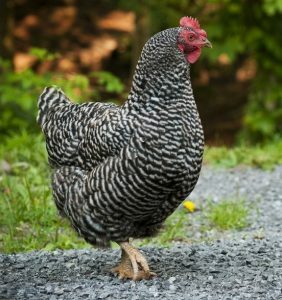 Well, that is all fellow poultry farmer; The 5 Most Productive Chicken Breeds That Will Lay Lot of Eggs. This list indeed is dedicated for you who is still new in the business and will help you to choose which breed that will able to bring you the most profit for your farm. Good luck!.